ShortScale :: View topic - How old is my guitar? 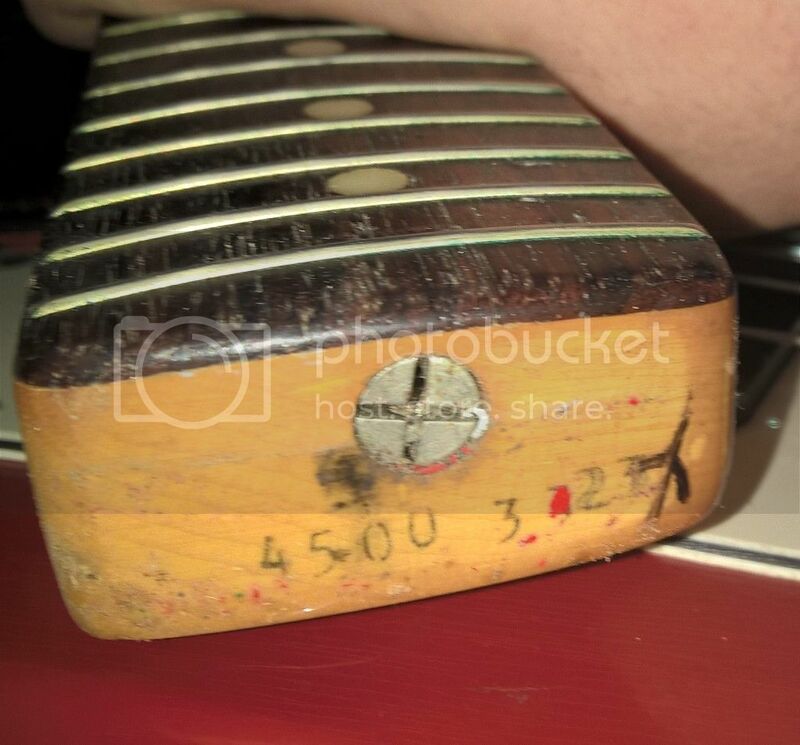 Posted: Mon Oct 10, 2016 7:34 pm Post subject: How old is my guitar? Just out of curiosity I'd like to know how old my Bronco is. This is a pic of the heel, there's a J. Torres name stamp too, if that's relevant. The girl that sold it to me had it since '78 and said she thought it was a '72. According to Vintage Rocker it is indeed a '72, indicated by the number 2 being the second to last digit. "From 1972 to 1980 Fender used a dating and identification system similar to the 1969 to 1971 system. [For example,] a Stratocaster with a neck code of 09032185. The first 6 digits are paired codes for instrument type, fretboard type, and week. The last two digits year and day of the week, are read individually. 5 = day of the week code (Thursday)"
So that's Wednesday on week 33 in 1972? I'm working that out to be 16/8. can we get another shot of the entire guitar? Yes, I got it a few years back, take a look at this.